At the United Nations’ upcoming COP 19 event in Warsaw, the REN Alliance is scheduled to “introduce the theme of a 100% renewable energy future, and introduce case studies on how to attain this vision.” The side event is supposed to touch on technical integration of renewable energy resources, policies, financing, and more. Speakers will include Ms. Jennifer McIntosh of the International Solar Energy Society (ISES), Ms. Tracy Lane of the International Hydropower Association (IHA), Ms. Karin Haara of the World Bioenergy Association (WBA), and Mr. Stefan Gsaenger of the World Wind Energy Association (WWEA). I’m sure they will give excellent presentations that are both inspirational and useful. And it is great to see that the REN Alliance has pulled together top global leaders from the four biggest renewable energy sectors. Seriously, these are must-read summaries of excellent reports on the subject of switching to renewable energy on a large scale. And if you have the time, digging into the actual studies would be even more useful. It’s also very useful to learn a bit about some of the countries and cities that have completely or almost completely switched to renewable energy for their electricity supply. For example, some leading examples include Iceland, which now gets 100% of its electricity from renewable energy sources; Tokelau, which has hit 100% renewable energy; Denmark, which is now getting nearly 50% of its electricity from renewable energy sources and is planning to get 50% from wind power alone by 2020; Scotland, which is aiming for 100% electricity from renewable energy by 2020; Samsø, a 100% wind-powered island; and Güssing, Austria, which is also already 100% powered by clean, renewable energy. Another thing worth noting, whether you intend to attend this COP 19 side event or not, is that projections for how much renewable energy will be installed in the coming decades vary widely, but no matter who you ask, renewable energy will grow at a very strong rate. The projections regarding how much renewable energy will be installed vary greatly based on the assumptions made by the researchers, of course, but even before the assumptions come the political goals with which the research team is going into the project – these often shape the assumptions used. No projection in this arena is perfect, and it’s very worthwhile to find out what the assumptions of a study are before referencing it. Also, lastly, one of the key points of discussion when it comes to how much renewable energy is “possible” is the issue of renewable energy intermittency. I highly recommend reading this article about the fallacy of that intermittency concern – read it, re-read it, and be sure to share it with others. Also, the prequel to that piece was one I wrote about utility company CEO’s who tore down the renewable energy intermittency concern back in 2011 in a utility company CEO roundtable at a solar power conference. That is also a must-read, in my humble opinion. If you will be at COP 19 and are interested in attending the REN Alliance side event, “Integrated technologies towards 100% renewables: Case studies and ex. on country and regional level,” it is scheduled for 16:45–18:15 on Monday, November 18, in room 1. This article, 100% Renewable Energy Primer + COP 19 100% Renewable Energy Side Event, is syndicated from Clean Technica and is posted here with permission. What is up with Africa? Today, on Project Syndicate David Fine wrote “Inside Africa’s Consumer Revolution” where he pointed out some interesting facts about that continent. Mind you, not everything is trending upwards — some things are going downhill there too. Way down. Here is a nice chart to underscore that trend. Figure 1: African Debt and Debt Service Source: International Monetary Fund, World Economic Outlook Database, October 2009. Of Africa’s 48 countries, 22 states with a combined population of 400 million people have officially achieved middle-income status; while another 10 countries representing another 200 million people today would reach middle-income status by 2025 if current growth trends continue or with some modest growth and stabilization. The continent we call Africa, once an economic backwater is rapidly-transforming into an important partner of the world’s major economies, by providing much-needed raw resources and increasingly, agriculture is playing an important role there. In the words of UN Secretary General Ban ki-Moon (2011:1) at the Summit of the African Union in January 2011: ‘Africa is on the move. The new narrative for Africa is a story of growth.’ And as Donald Kaberuka (2010:4), President of the African Development Bank, noted at the opening of the 2010 African Economic Conference, there is now ‘broad agreement that an unusually strong momentum has built up in the African economies over the last decade’. This change in perception does not mean that the immense challenges faced by the continent are being glossed over, but the Afro-pessimism of the 1990’s has clearly been replaced by a much more realistic and confident outlook. African people seem to share this view. The answer to the question What’s up with Africa? Everything you want in a growing continent. Please take the time to read the seminal articles that I have cited in this post. They will enrich your understanding of this coming-of-age continent. In July of this year, the UN asked me to contribute an article to the United Nations Development Programme — and it is now published in a 60-page report. I’m in the credits on page 2 and my article is published in full starting on page 26. The full report is downloadable as a PDF. Click here to download — you may need to click again when a new window opens. I would like to thank Hussein Abaza, who is the former Chief of the Economics and Trade Branch of the United Nations Environment Programme (UNEP) and a person who has contributed unstintingly in the service of our civilization in several UN organizations for over 30 years. I would be remiss if I did not express my appreciation to Veerle Vandeweerd, Director, Environment and Energy Group Bureau for Development Policy, United Nations Development Programme. Grateful thanks also to Marjolaine Côté, Special Assistant to the Director Environment and Energy Group Bureau for Development Policy, United Nations Development Programme. Many thanks to Danielle Crittenden my Managing Editor at Huffington Post Canada who was the first editor to approve and publish the first version of this article which was titled As China Goes Green What Is Canada Waiting For? I also owe thanks to Emma Ellwood-Russell, my editor at EcoPoint™ who published a later version of this article titled China Goes Green and to EnergyBoom.com which also published the last variant of this article China Motivated to Adopt Sustainable Energy Solutions. 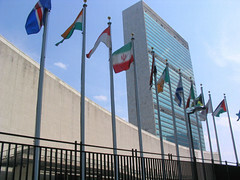 The UNDP elected to generously provide a link to the EcoPoint™ website in the United Nations Development Programme report. Please take a few moments to look over this 60 page report. I would be very interested to hear your comments about any part of it. Thank you. Will Global Sustainability Ever Be Possible? If you haven’t seen these two short videos on demographics and sustainability from Professor Hans Rosling take the time to do it now. Hans at his best!